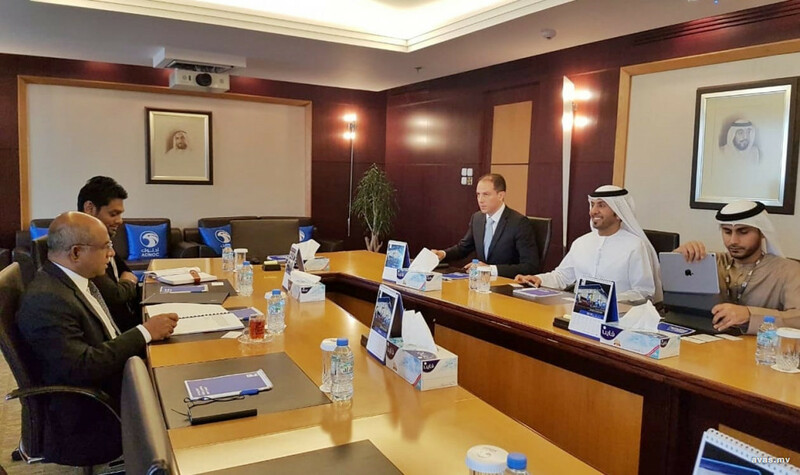 Main oil company of Abu Dhabi, National Oil Company (ADNOC) has participated in discussions with Ministry of Foreign Affairs regarding prospective investment opportunities in the Maldives. Minister of Foreign Affairs of the Republic of Maldives, Abdulla Shahid, accompanied by Managing Director of State Trading Organization (STO), Hussain Amr met with Acting Chief Executive Officer of Distribution of ADNOC, Saeed Mabarak Al-Rashdi in Abu Dhabi on Wednesday, and discussed on means of increasing trade ties and avenues of investment in the Maldives by ADNOC. ADNOC is the state-owned oil company of the United Arab Emirates (UAE). It is the world's 12th largest oil company by production, standing at 3.1 million barrels per day.